Did you know that you can download and save your Linkedin profile as a PDF resume in six easy steps? The step-by-step instructions are detailed below. 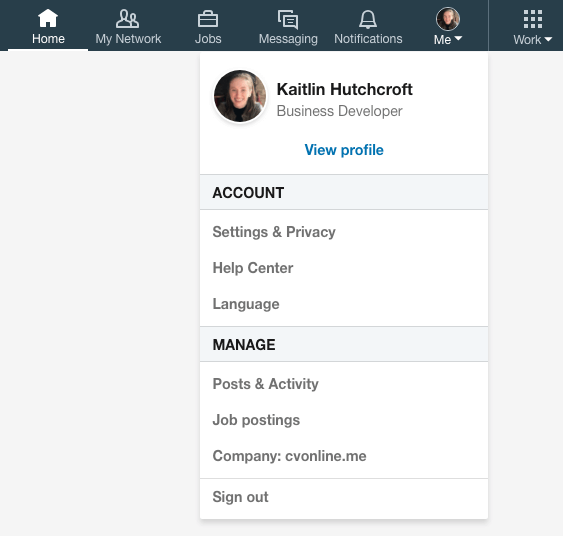 Click on the Me icon under your profile photo, in the top right corner of your LinkedIn homepage. Then, click View profile from the dropdown menu. Your profile page will appear. Next, click the More... button in the top section of your profile (slightly below your photo). Select Save to PDF from the dropdown menu. Finally, your PDF will be downloaded and saved to the default download location on your laptop or computer. As you can see, the PDF download from LinkedIn is awfully plain and hardly catches one’s eye. You do not have any way to rearrange the format of the PDF resume or choose from different colors and designs. It would be quite difficult to stand out from the crowd with such a basic resume. 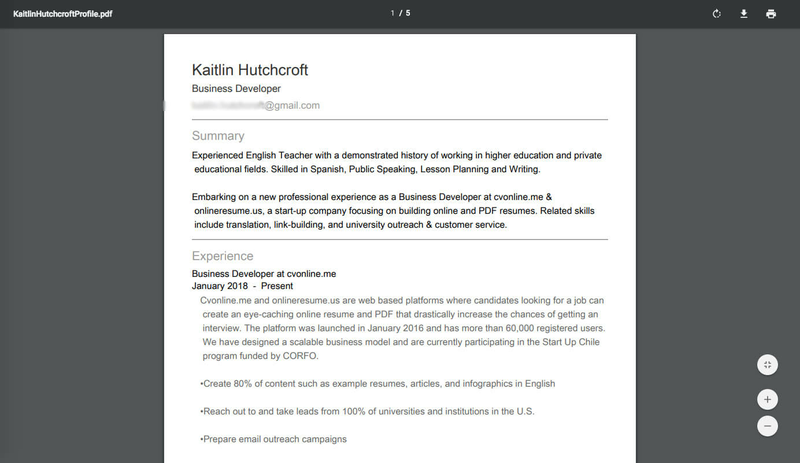 To create a truly dynamic resume, check out onlineresume.us’s 360 degree resume building tool! It not only empowers you to create multiple online resumes for every position that you are applying to, but it also enables you to create eye-catching PDF resumes with the platform’s new PDF resume maker. Your PDF resume will be available for download from your online resume or you can simply send it to employers via email. The benefit of having an online resume, in addition to your PDF resume, is that you can include more experiences and longer descriptions that may not fit on a traditional paper resume. You can also incorporate videos, links, photos, and more. There are tons of disruptive online resume templates to choose from and onlineresume.us continues to upload more every day. 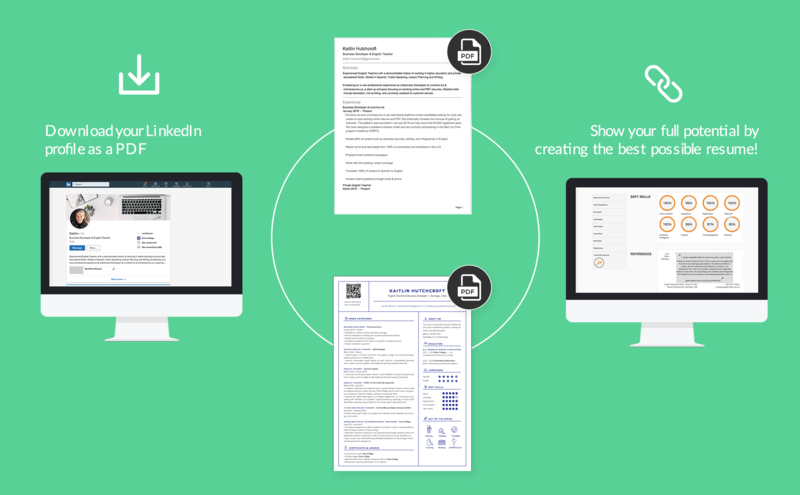 Include a sharable link and QR code on your PDF resume and connect recruiters to your online resume. 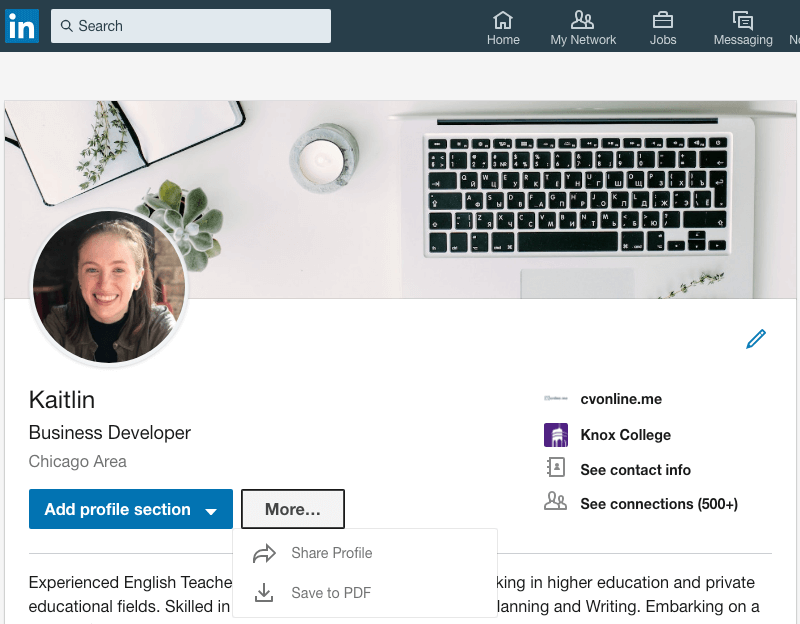 Share your personalized link on social networks or in an email and wow potential employers using a resume that embodies your complete professional profile. You can even export your information from LinkedIn to your account to make the initial sign up process even easier. 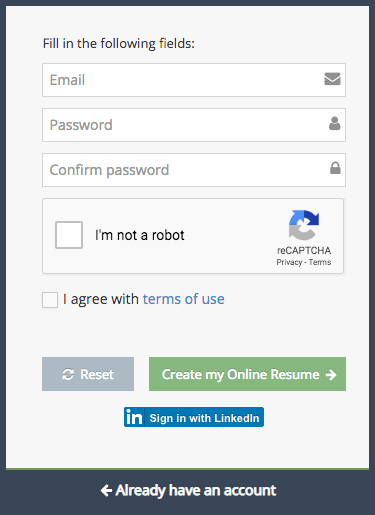 Instructions on how to automatically import your LinkedIn information to your new online resume continue below. Go to the sign up page. Click on the blue button labeled Sign in with LinkedIn located at the bottom of the sign up page. 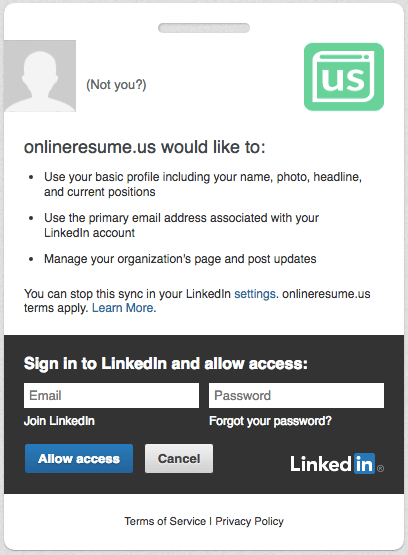 Next, fill in your LinkedIn email and password and click the blue Allow access button. You will automatically be redirected to the first page of the sign up and registration process. Most of your information will already be filled in, so you can enter any additional info that you would like to include on your resume and continue through the 5 step signup. Once you click the green Finish button on the final page of signup and registration, you will be directed to your new onlineresume.us account and dashboard. Take a look at our User Guide materials to find more information on how to manage your online resume, rearrange the sections, select a unique online design, use a sleek PDF template, and more. Show your full potential by creating the best possible resume! To get more tips on creating a successful resume, check out our employment Coach and Recruiter’s advice on How to Write Better Work Experience Descriptions on Your resume. Kaitlin holds a B.A. 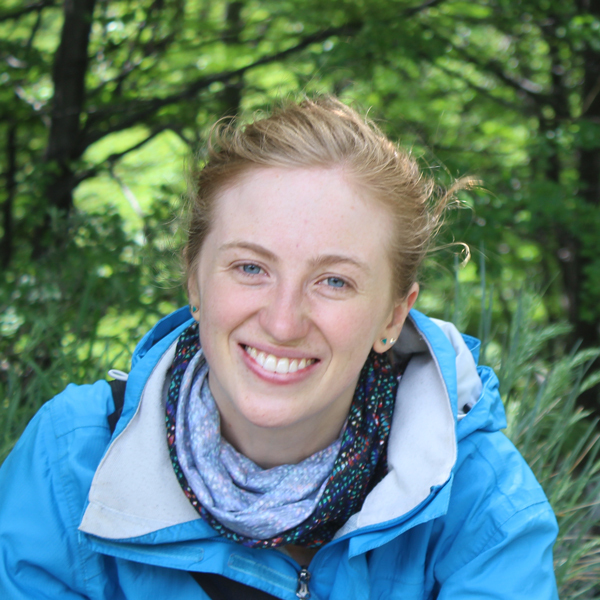 in Spanish & Education from Knox College and Universitat de Barcelona and has worked as an ESL Teacher in Barcelona and Santiago, Chile as well as a high school Spanish teacher in the US. She has been helping new graduates build their best possible resumes by telling their unique stories and ultimately stand out from the crowd since 2017.